Cats in trouble, as usual! 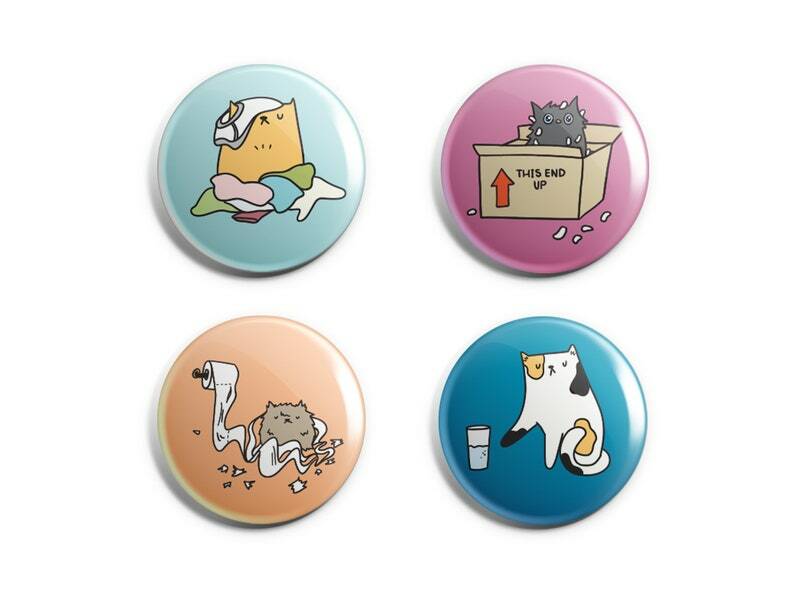 These cuties are up to no good, but make the purrrrfect cat pins and magnets for school lockers, whiteboards, refrigerators, backpacks and more. Cute gift for cat lovers! + Cute + colorful cat illustrations, by me. + Unique + practical gift for cat lovers. + 4 cats per set.